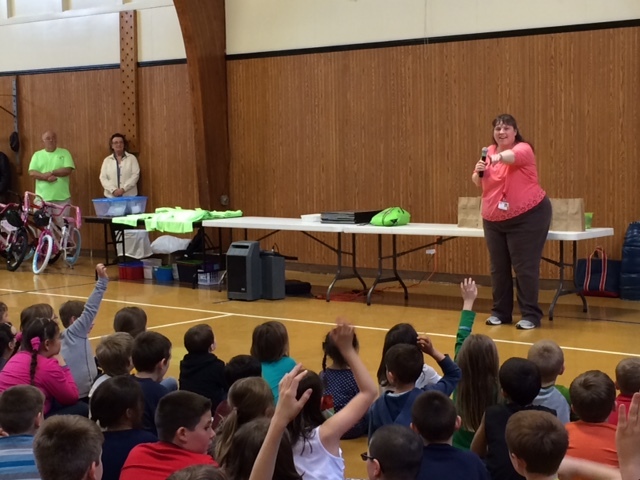 MRH’s Director of Rehab and Wellness, Pat Thibodeau, talked with the students at Granite Street School about bike helmet safety. After which the Mason’s gave away one boys bike and one girls bike to each grade (K-6) at Granite Street. 14 bikes total were given away! 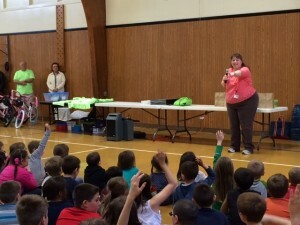 The kids read books to earn tickets to put in the drawing for a chance to win a new bike. The program called “Bikes for Books” was huge success as was Pat’s interesting discussion with the students about protecting their heads from injury by wearing a helmet!